There are many reasons a senior may want to purchase a new home versus staying in an existing home. Possibly they want to move closer to town or to family, or eliminate stairs, or reduce size and upkeep. As long as they are 62 years or over, the Reverse Mortgage for Purchase Program could be the right fit. Regardless of the reason, many northern Colorado seniors have family in the Fort Collins areas, as well as Cheyenne and Laramie, Wyoming – and getting situated then staying put is important to them. There are three ways to use a reverse mortgage to purchase a new home or even build a home to their own specifications. This option is quite simple. 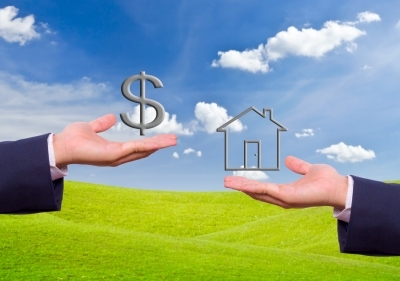 Using cash the borrower has, they purchase a home or have a new home constructed. Once the home is occupied they will utilize a reverse mortgage, allowing them to live mortgage payment free. In order to qualify for a reverse mortgage on a newly constructed home, the home owner must have the certificate of occupancy. Often the homeowner will need to liquidate assets or tap into savings in order to purchase the home, but once the purchase or or new construction is completed they can then take out a reverse mortgage on the home, filling the reserve that was used to make the initial purchase, and live payment free. A downside to this option – the homeowner would likely incur settlement and closing costs twice. With the Reverse Mortgage for Purchase Program, a senior can sell their current home, purchase a new home, and obtain a loan for the new residence and a reverse mortgage at the same time with only one set of settlement fees. And if a senior is not currently a homeowner but wants to be, the Reverse Mortgage for Purchase Program can help them purchase a home, even if they are a first time home buyer with limited income and credit. A downside to this option is that it cannot be used to construct a new home, but can be used to purchase a newly constructed home that has never been lived in before. The homeowner must also take residence in the home within 60 days of purchase. When utilizing this program, seniors will need to have the means to pay the difference between the sale price of the new home and the maximum amount they can draw on the reverse mortgage, essentially requiring a down payment. 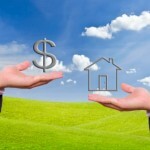 Often this down payment comes from the sale of a previous residence. But – the homeowner will live in their new home free of a mortgage payment. If a homeowner is looking to have a new home constructed to their own specifications, but doesn’t have the funding to buy with cash, this becomes an option. Once the purchase or new construction is complete, the senior homeowners would be eligible for a reverse mortgage and can live payment free in this new home. Downsides to this option include: the borrower would likely incur closing and settlement costs with each loan, and there would be income and credit limits as with any conventional home loan. With any of these options, the homeowner will always retain the title to their home. The Reverse Mortgage for Purchase program is backed by the FHA and is highly under-utilized. Talk with a reputable lender to learn more or to have your questions answered.